SeaWorld Orlando’s Animal Rescue Team has been caring for a rescued male bottlenose dolphin since November 30, 2016. The animal was brought to SeaWorld's Rehabilitation Center after being found stranded in Sanibel, Florida. 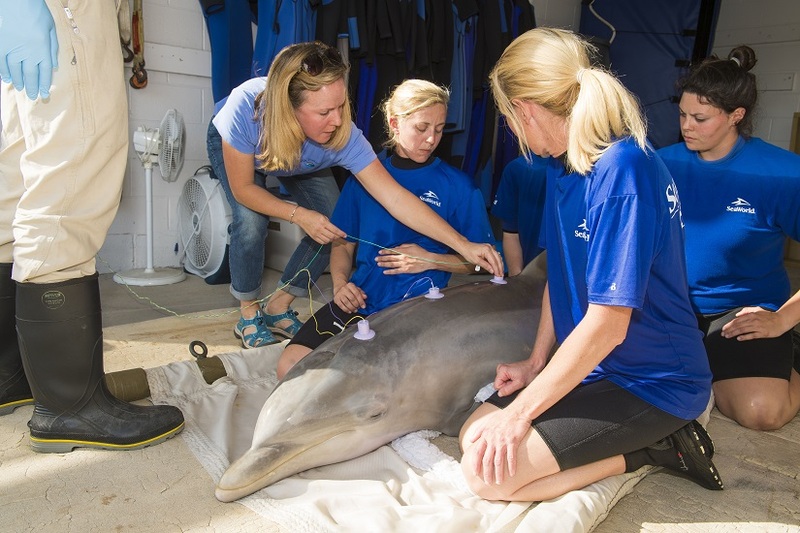 Last week, SeaWorld Orlando's own veterinary team assisted a representative from NOAA (the National Oceanic Atmospheric Administration) with a hearing test on the dolphin. 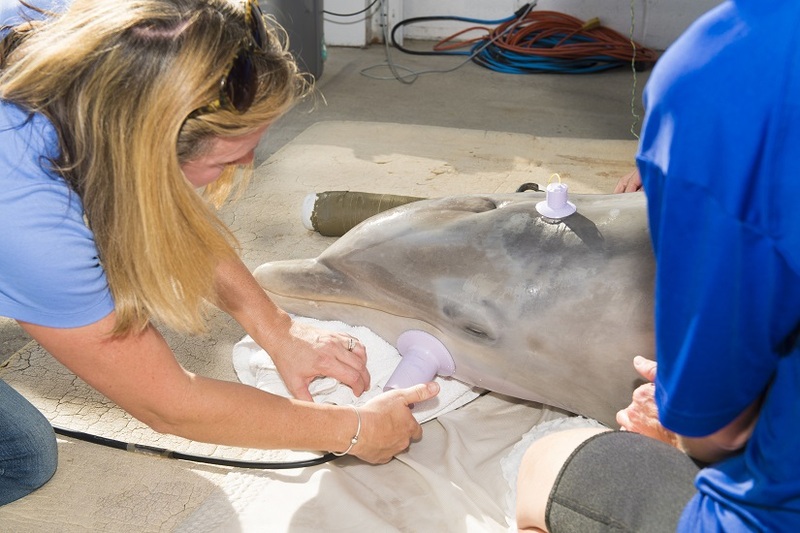 NOAA conducts hearing tests on all stranded cetaceans to confirm their ability to hear and echolocate. Dolphins use echolocation to help them find food, navigate through their environment, and socialize with other dolphins. The use of echolocation is crucial for their survival in the wild. The hearing test that was conducted at SeaWorld Orlando is a critical step toward the ultimate goal of returning him to the wild. The test showed the dolphin can hear and the team remains hopeful he will continue to improve. 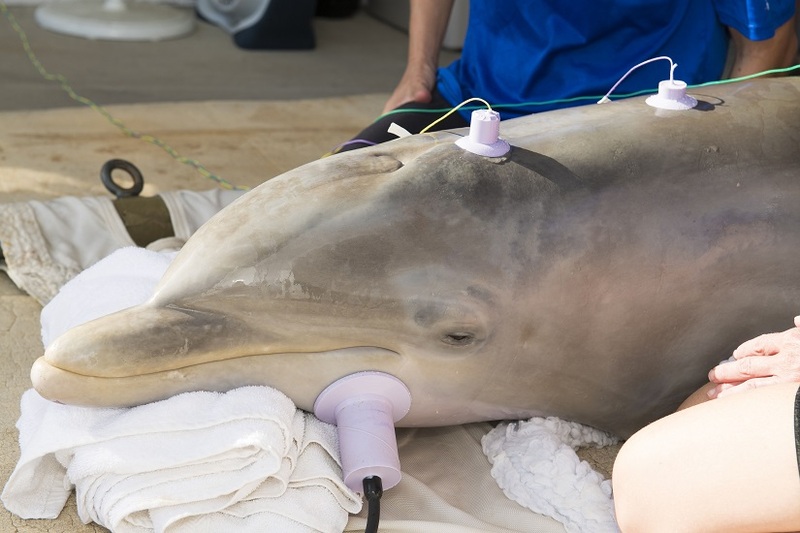 Since his arrival, the dolphin has been eating on his own and has shown a steady increase in weight, important steps in the total rehabilitation process. SeaWorld Orlando’s Animal Rescue Team is always on call to rescue and care for injured, orphaned or ill animals. In collaboration with several government agencies and other members of accredited stranding networks, SeaWorld Parks & Entertainment operates one of the world’s most respected programs to rescue ill and injured marine animals, with the goal to rehabilitate and return to the ocean. SeaWorld animal experts have helped more than 29,000 animals in need for more than five decades. If you see an injured marine animal, call the Florida Marine Mammal Stranding Hotline at 1-888-404-3922. PHOTOS: © 2017 SeaWorld Parks & Entertainment.. All Rights Reserved.